The Bega Valley Shire Ratepayers and Residents Association has renewed calls for a permanent disaster relief fund for the shire to be administered by local government. They are concerned residents who lost property and homes in the Yankees Gap fire (above) have not received the same level of support as the people who lost their homes and property as a result of the Tathra and district fire. The Bega Valley Shire Ratepayers and Residents Association says its received legal advice that the Bega Valley Shire Council could successfully set up a permanent disaster relief fund, without the need of going into a private partnership. The Council has said it's hands are tied by legislation, in relation to setting up a charitable fund with deductible gift recipient status, but is exploring a partnership with the Bendigo Bank. However the Bega Valley Shire Ratepayers and Residents Association says its legal advice is that there is "ample scope" under existing legislation for council to set up a community disaster relief fund which would be eligible for deductible gift recipient status. The Bega Valley Shire Residents and Ratepayers Association says a permanent fund should be run by local government to enjoy the confidence of the community. 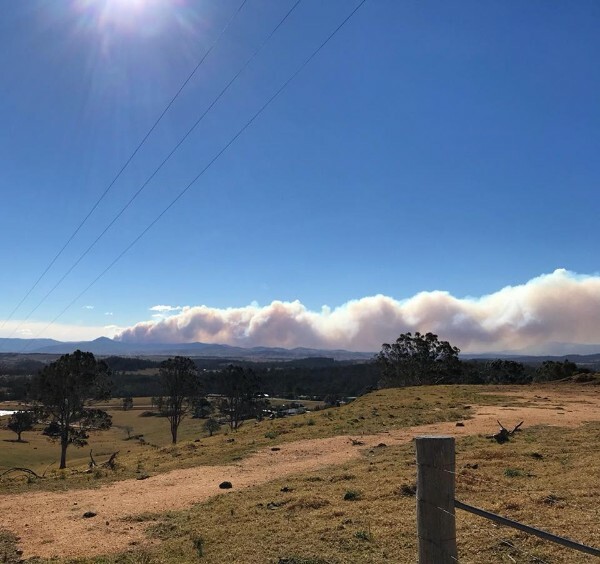 The issue of the need for a permanent disaster fund has come about after the people who lost homes in the Yankees Gap fire, near Bega last year, were not eligible for money donated to the Tathra and district community through the Mayor's appeal fund, which has raised over $1.5 million. Four homes were destroyed in the Yankees Gap fire and there were also losses of pasture, fencing, farming equipment and sheds experienced by a number of property owners. One of the residents who lost her home Jan Reynolds has said there has been little support from council. She says she rang Council after the fire to register for recovery assistance and when she rang back three weeks later was told there was no record of her name. She has been cleaning up her property with the help of her neighbours and is hoping to rebuild. Council says it has authorised the same exemptions that applied following the Tathra and District Fire including water and sewer charges; waste fees; Development Application, Complying Development and associated fees; and interest on general rates instalments for properties directly affected.